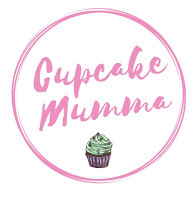 Cupcake Mumma: Day 31 Why Do I Blog? After I had Little Man I had really bad anxiety. Eventually I received help and from there on I felt stronger, like I could do things I always made sure I would never do before. Simple things like wearing make up, paying for items or even going out on my own. I discovered blogging in August 2011 when it seemed to be the topic all over the magazines. I thought how cool it would be to blog, but I didn't think i could write anything..after all, I always thought I was really boring. With my confidence building I realised blogging could like a dairy. Just a less personal one and one with plenty of pictures to look back on. I started to not worry about that fact some people might find me boring and enjoyed seeing my followers build up. So I started blogging for me. In September 2011 and I haven't looked back since! I love CupcakeMumma and I'm really proud of it.